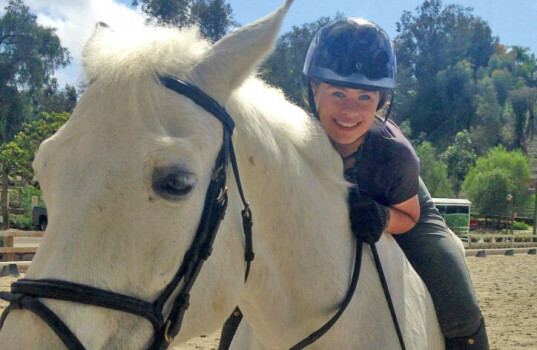 At age five, Lauren Tomasula rode her first pony and has been riding ever since. She is an active member of the San Juan Capistrano Chapter of the California Dressage Society and has won a number of awards for riding including the San Juan Capistrano Junior Champion for first level and seventh place in the Junior Championships. She has her sights set on qualifying for the Olympics and her most immediate goal is to make the national junior team to help her along that path. In addition to her Olympic dreams, she hopes to one day become a trainer and own her own stable. She plans to continue her education in equine business management to eventually run her own business. Lauren is also a photography enthusiast and plans to participate in her school’s annual photography contest next year. In addition to pursuing her own passions, she works with younger riders to help them develop in the sport, and in her spare time, she volunteers through her church.